Written By: Mark Epstein, M.D. Narrated By: Mark Epstein, M.D. 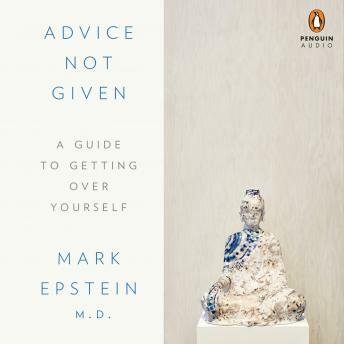 With great insight, and in a deeply personal style, Epstein offers readers a how-to guide that refuses a quick fix, grounded in two traditions devoted to maximizing the human potential for living a better life. Using the Eightfold Path, eight areas of self-reflection that Buddhists believe necessary for enlightenment, as his scaffolding, Epstein looks back productively on his own experience and that of his patients. While the ideas of the Eightfold Path are as old as Buddhism itself, when informed by the sensibility of Western psychotherapy, they become something more: a road map for spiritual and psychological growth, a way of dealing with the intractable problem of the ego. Breaking down the wall between East and West, Epstein brings a Buddhist sensibility to therapy and a therapist's practicality to Buddhism. Speaking clearly and directly, he offers a rethinking of mindfulness that encourages people to be more watchful of their ego, an idea with a strong foothold in Buddhism but now for the first time applied in the context of psychotherapy. Interesting and helpful. Would recommend.